We offer wide range of Cylinder Valves. Our clients can avail these angle type Cylinder Valve in different grades and dimensions as per the requirement of the clients. 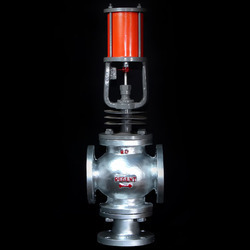 These valves are manufactured using premium quality of raw material for better quality and best results. Madho Controls manufactures pneumatic cylinder actuator valves, Series-2000, especially for gas and air applications in PSA nitrogen plants, industrial air dryers and hot air generator systems. The size of these valves ranges from 1 to 3 with 2- and 3-way screwed end aluminium body. Model SVGD also is used as above. The top is old 'D' type but still preferred by some. Standard Model: Available with primer and Hex bolt. Color options available. 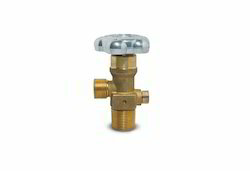 We supply cylinder valves with a working pressure of up to 250 bars, and valve threads of BS 341, DIN 477 and IS 3224. For vehicles where onboard pressurized air is not available, and/or clutch thrust force is so low that servo assistance is not required, the slave cylinder from Kongsberg Automotive is often the solution. We manufacture Gas Cylinder safety valve guards & caps, These valve guards are being supplied to reputed & leading cylinder manufacturers as per international standards. We assure you of quality product and price advantages due to bulk production, with maximum automation.